YAHWEH (DEITY) [Heb K yhwh ( hwhy )]. When it stands alone, and with prefixed prepositions or the conjunction wa-, “and,” the name is always written with the four Hebrew letters yod, he, waw, he, and is for that reason called the Tetragrammaton. In this form the name appears more than 6000 times in the OT. (Variation in the Masoretic manuscipts makes it difficult to establish the number of occurrences exactly.) Shorter forms of the divine name occur in personal names. At the beginning of names the form is -yĕhô or the contracted form -yô; at the end of names, -yāhû or -yāh. The pronunciation of yhwh as Yahweh is a scholarly guess. Hebrew biblical manuscipts were principally consonantal in spelling until well into the current era. The pronunciation of words was transmitted in a separate oral tradition. See MASORETIC TEXT. The Tetragrammaton was not pronounced at all, the word ădonāy’, “my Lord,” being pronounced in its place; elōhîm’, “God,” was substituted in cases of the combination ădonāy yhwh’ (305 times; e.g., Gen 15:2). (This sort of reading in MT is called a qere perpetuum.) Though the consonants remained, the original pronunciation was eventually lost. When the Jewish scholars (called Masoretes) added vowel signs to biblical mss some time before the 10th century a.d., the Tetragrammaton was punctuated with the vowels of the word “Adonai” or “Elohim” to indicate that the reader should read “Lord” or “God” instead of accidentally pronouncing the sacred name (TDOT 5: 501–02). The form “Jehovah” results from reading the consonants of the Tetragrammaton with the vowels of the surrogate word Adonai. The dissemination of this form is usually traced to Petrus Galatinus, confessor to Pope Leo X, who in 1518 a.d. transliterated the four Hebrew letters with the Latin letters jhvh together with the vowels of Adonai, producing the artificial form “Jehovah.” (This confused usage may, however, have begun as early as 1100 a.d.; note KB, 369). While the hybrid form Jehovah has met much resistance, and is universally regarded as an ungrammatical aberration, it nonetheless passed from Latin into English and other European languages and has been hallowed by usage in hymns and the ASV; it is used only a few times in KJV and not at all in RSV. The generally acknowledged vocalization “Yahweh” is a reconstruction that draws on several lines of evidence. The longer of the two reduced suffixing forms of the divine name, -yāh and -yāhû, indicates that the name probably had the phonetic shape /yahw-/ with a final vowel. The vowel is supplied on the basis of the observation that the name derives from a verbal root hwy, which would require the final vowel /eµ/; this inference is confirmed by the element yahwé÷ occurring in names in the Amorite language (see TDOT 5: 512; the relevance of the Amorite names is challenged by Knauf 1984: 467). In the Aramaic letters from Elephantine in Egypt (ca. 400 b.c. ; ANET, 491–92), the divine name occurs in the spelling yhw, probably with the vocalization /yahû/ (TDOT 5: 505). Instances of the divine name written in Greek letters, such as Iao (equivalent to “Yaho”), Iabe (known to the Samaritans, Theodoret [4th century a.d.], and Epiphanius), Iaoue, Iaouai (Clement of Alexandria [3d century]), and Iae also favor the form “Yahweh” (NWDB, 453). The meaning of the name is unknown. Arguments favoring particular meanings have been for the most part grammatical. The name has long been thought to be a form of the verb hāwāy, an older form of the Hebrew verb hāyāh, “to be.” The reconstructed form yahwēh is parsed as either a third-person Qal imperfect of this verb or as the corresponding form of the causative stem. This analysis is encouraged by theological notions of God as one who is, or who exists, or who causes existence. Thus the explanation of Yahweh in Exod 3:14, “I am who I am,” is a folk etymology based on this verb (ROTT, 181–82). The analysis of the name as a causative falters on the grammatical point observed by Barr that “the causative of this verb does not occur in Hebrew elsewhere” (HDB, 335). However, the name could be a unique or singular use of the causative stem. The date and origin of the name has been debated. Its earliest appearances are in the Song of Deborah (Judges 5; which has been dated to the 11th century b.c. ), on the Mesha Stele (9th century; ANET, 320), in an ostracon from Kuntillet >Ajrud (8th century; Freedman 1987: 246), and in the Arad and Lachish Letters (6th century; ANET, 569, 322). To move outside of the Levant, we find Egyptian name lists which include a Syrian site, Ya-h-wa (No. 97), which is identical to Yahweh. A Rameses II (1304–1237 b.c.) list is found in a Nubian temple in Amarah' West with six names (Nos. 93–98) following the designation “Bedouin area.” Nos. 96–98 have been found at Soleb in Nubia on an Amon temple of Amenhotep III (1417–1379). No. 93, Sa->ra-r, has been identified with Seir (Edom) and related to the biblical references (Deut 33:2) which associate Yahweh with Seir and Paran. This could be taken as evidence the name was known in Edom or Midianite territory ca. 1400 b.c. (EncRel 7: 483–84). However, Astour (IDBSup, 971) notes that the writing “S-r-r” is incorrect as opposed to the spelling in other Egyptian inscriptions. Furthermore, three of the sites, including Yi-ha, on Rameses III’s temple in Medinet Habu, are in a Syrian context suggesting that Ya-h-wa/Yi-ha was also in Syria. Thus the name is not associated with Edom or Midianites but does seem to appear as early as 1400 b.c. in Syria. From a later time, the 8th century b.c., two Aramean princes have names with the element “Yau.” This has been taken to mean that some Arameans may have worshipped Yahweh (Rankin 1950: 95). This could relate to the earlier connection of the Patriarchs with the Arameans, e.g., Jacob’s sojourn with Laban, the eponymous ancestor of the Arameans (Genesis 29–31). The divine name is not found in any cuneiform texts. The formative -yw in some personal names from Ugarit (ca. 14th century b.c.) is not a divine element and has no connection with the name Yahweh. Considerable controversy arose over the alleged occurrence of a theophoric element -ya in personal names from Ebla. The cuneiform sign ni, read as /ya/ by Pettinato (1980) and others (Dahood 1981: 276–77), is now read ILx “god” when used in personal names. In terms of the biblical narrative, some suggest that Moses derived the name of Yahweh from the Egyptians, while others think Yahweh was a Midianite deity worshipped by the Kenite clan. Moses would have been introduced to this new deity when he married the daughter of Jethro (Exod 3:1; 4:18) or Hobab (Num 10:29; Judg 4:11), a priest of Midian (Exod 18:1, 12) or the Kenites (Judg 1:16). See KENITES. In antiquity, the significance of a name goes far beyond a mere label. In ancient times, the name held magical power. One who knew the name of the deity could wield power over the deity and summon him to his/her aid, e.g., against one’s enemies. The importance of the name is underscored by the story of Jacob wrestling with a divine being who was reticent to reveal his name to Jacob (Gen 32:24–30; cf. Judg 14:17–20). Adam’s naming of the creatures (Gen 2:20) may be the J writer’s version of the Priestly 1:28, “have dominion . . . over every living thing . . .” The name also reflects the character of the named, as in Nabal (“fool”) in 1 Sam 25:25 and the change from Abram to Abraham (Genesis 17), Jacob to Israel (Genesis 32). While the date and origins of the name are debatable, the character of Yahweh is certainly clear, although multifaceted in the biblical text. He is a storm god who speaks in the thunder, who hurls or shoots lightning (Exod 19:16–19; 20:18; Ps 18:14; Job 37:5; Amos 1:2; Hab 3:11). He is a god of the mountains (Exodus 19; 1 Kgs 20:3). Fire is both a sign of Yahweh’s presence and a weapon (Exod 13:21; 1 Kgs 18:38). He is a god of the desert (Judg 5:4). He has control over the waters of the earth—the sea (Exod 14:21; Jonah), the rivers (Josh 3:16–17), and the rain (Gen 2:5; 1 Kings 17). He is the giver of life and one who brings death. He is a god of war and of peace. But most important to the biblical tradition, Yahweh is the god of the covenant. Yahweh created, maintains, and sustains the natural world, which includes humanity. There are covenants with Noah which include the natural world, with the patriarchs, with Moses and the people, Aaron and Phinehas and the priesthood, David and the royal house, and others. No matter what the origin of the name or the non-Israelite nature of his epithets, Yahweh had chosen Israel to be his people and had entered into covenants with them. This fact is the central theme of the OT. Abba, R. 1961. The Divine Name Yahweh. JBL 80: 320–28. Archi, A. 1979. The Epigraphic Evidence from Ebla and the Old Testament. Bib 60: 556–66. Brownlee, W. H. 1977. The Ineffable Name of God. BASOR 226: 39–46. Dahood, M. 1981. Afterword: Ebla, Ugarit, and the Bible. Pp. 271–321 in Pettinato 1981. Freedman, D. N. 1987. Yahweh of Samaria and His Asherah. BA 50: 241–49. Görg, M. 1976. Jahwe—ein Toponym? BN 1: 7–14. Knauf, E. A. 1984. Yahwe. VT 34: 467–72. Lind, M. C. 1980. Yahweh is a Warrior. Scottdale, PA.
Mettinger, T. 1988. In Search of God. Trans. F. H. Cryer. Philadelphia. Miller, P. D. 1973. The Divine Warrior in Early Israel. Cambridge, MA. Obermann, J. 1949. 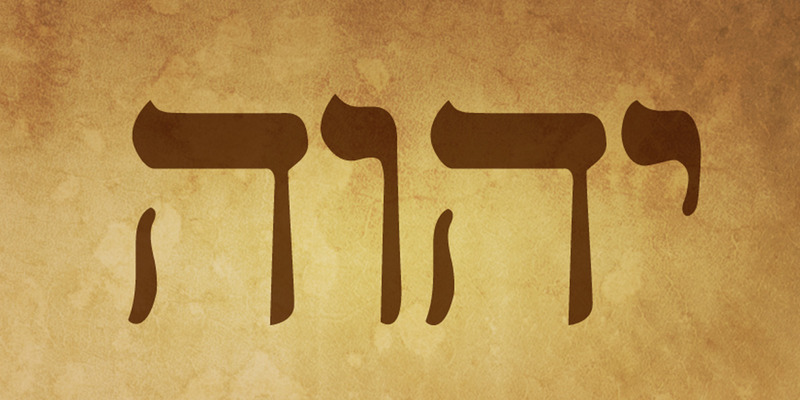 The Divine Name YHWH in the Light of Recent Discoveries. JBL 8: 301–23. Pettinato, G. 1976. The Royal Archives of Tell Mardikh-Ebla. BA 39: 44–52. ———. 1980. Ebla and the Bible. BA 43: 203–16. ———. 1981. The Archives of Ebla. Garden City, NY. Rankin, O. 1950. God. Pp. 90–99 in A Theological Word Book of the Bible, ed. A. Richardson. New York. Zevit, Z. 1983. A Chapter in the History of Israelite Personal Names. BASOR 250: 1–16.